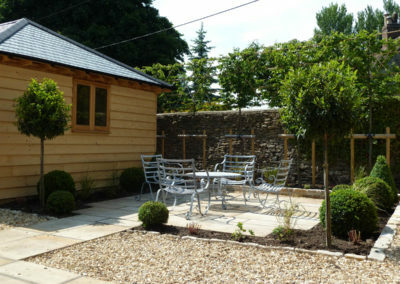 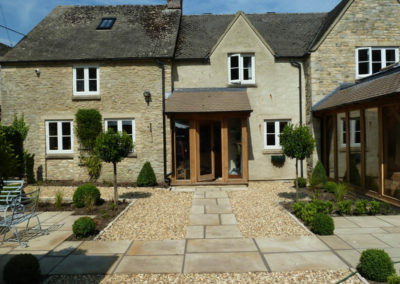 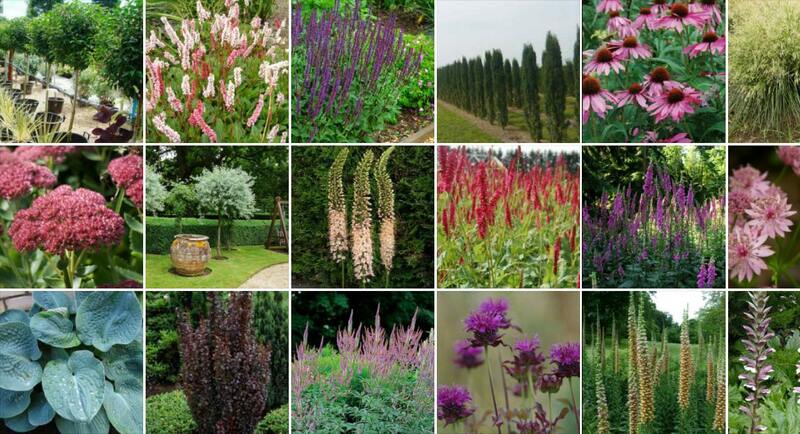 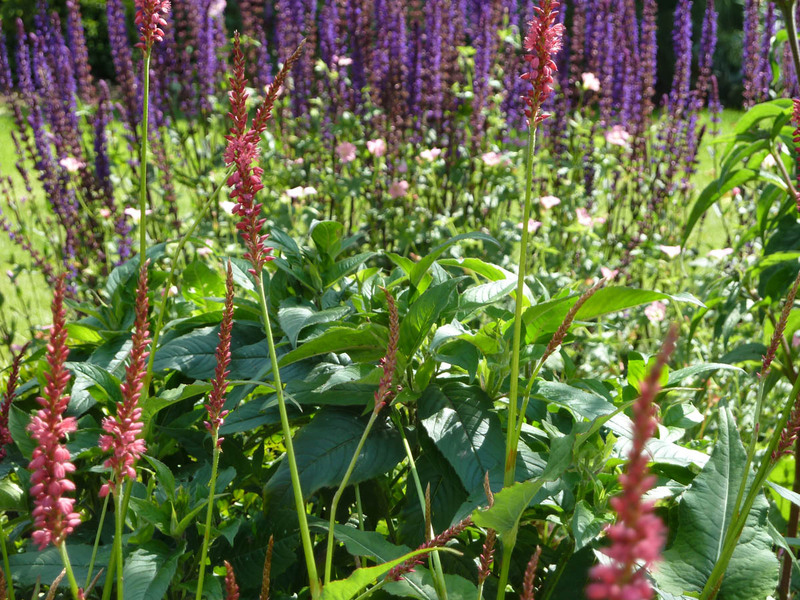 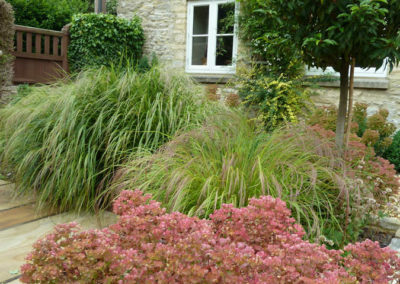 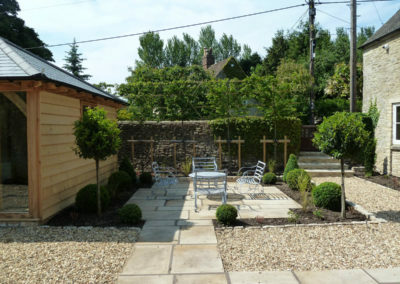 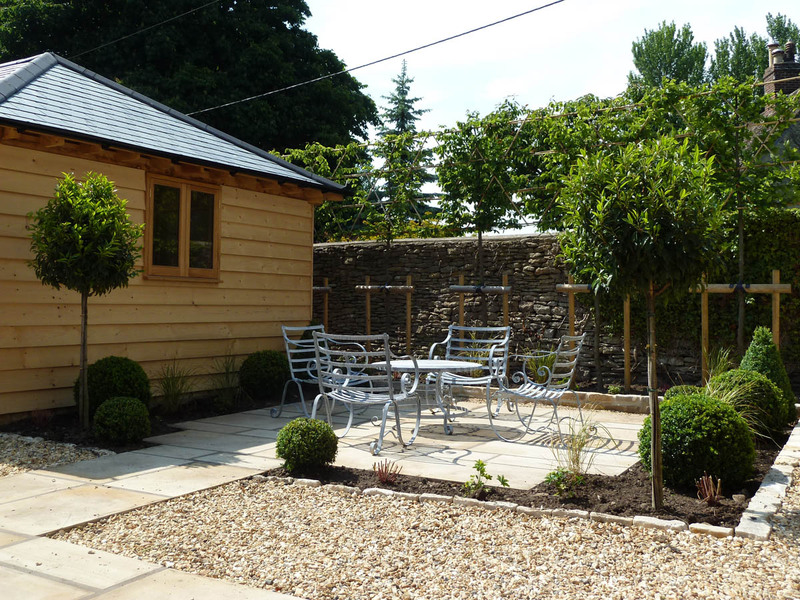 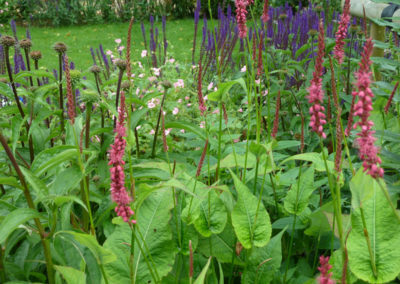 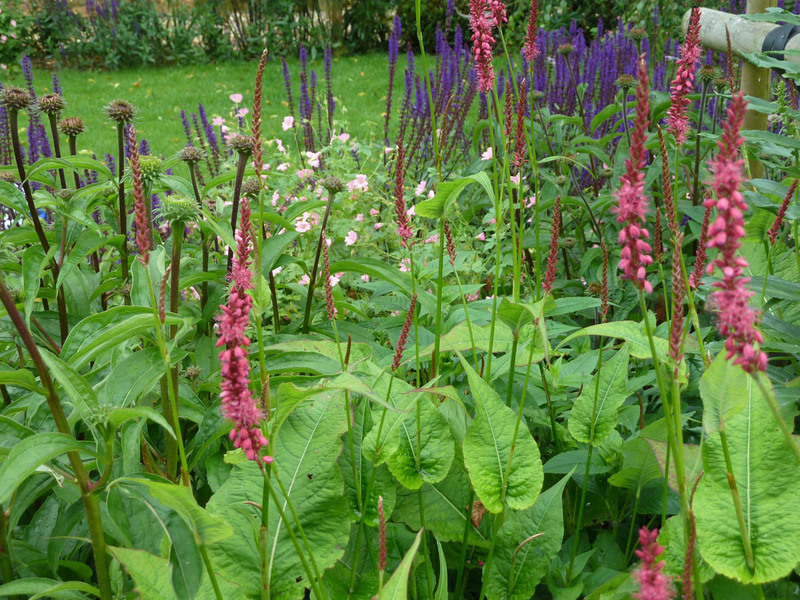 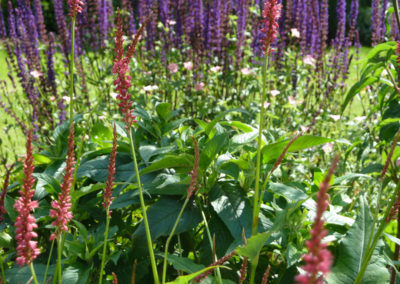 This garden is for a young family living on the edge of a busy town in the Cotswolds. 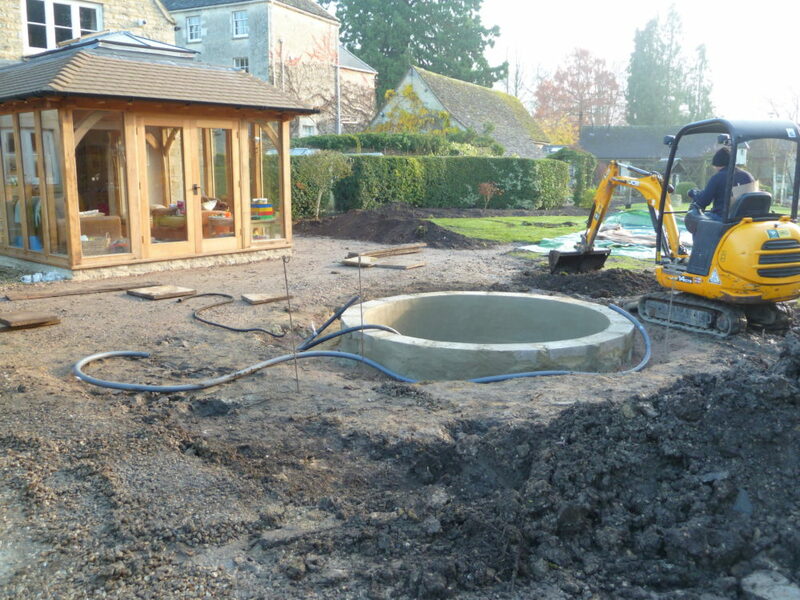 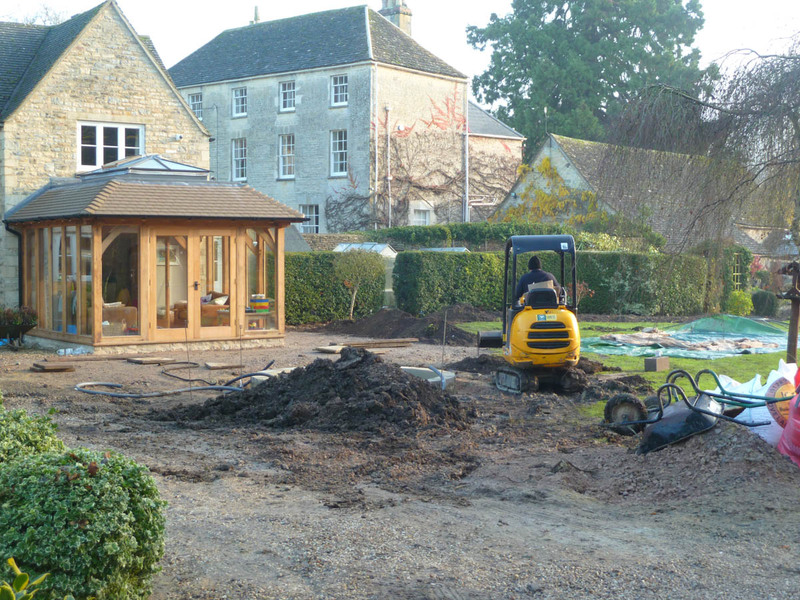 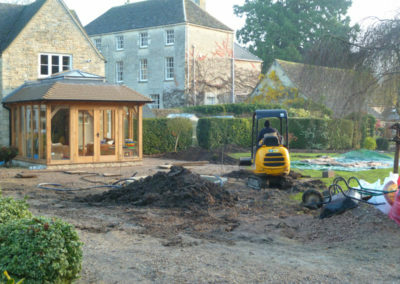 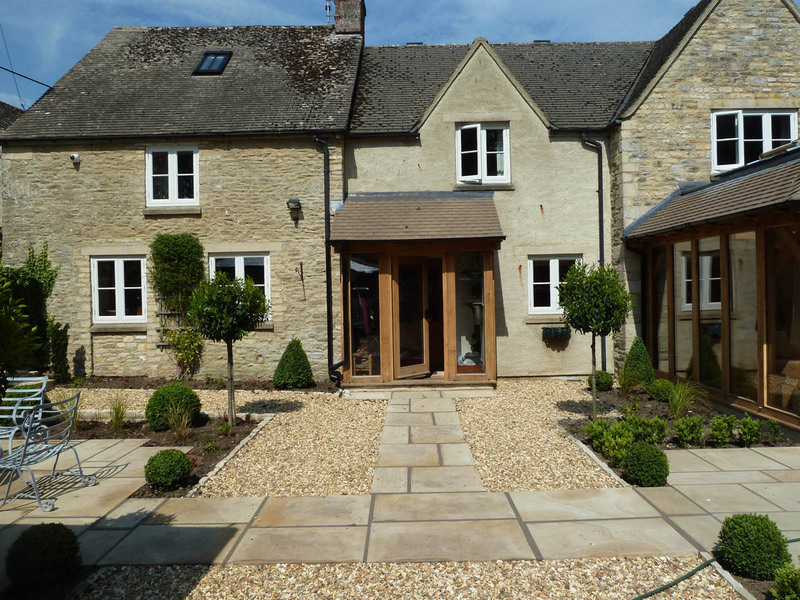 A complete re-design of the existing garden was required, updating it to reflect recent changes to the house (oak framed sun room extension). 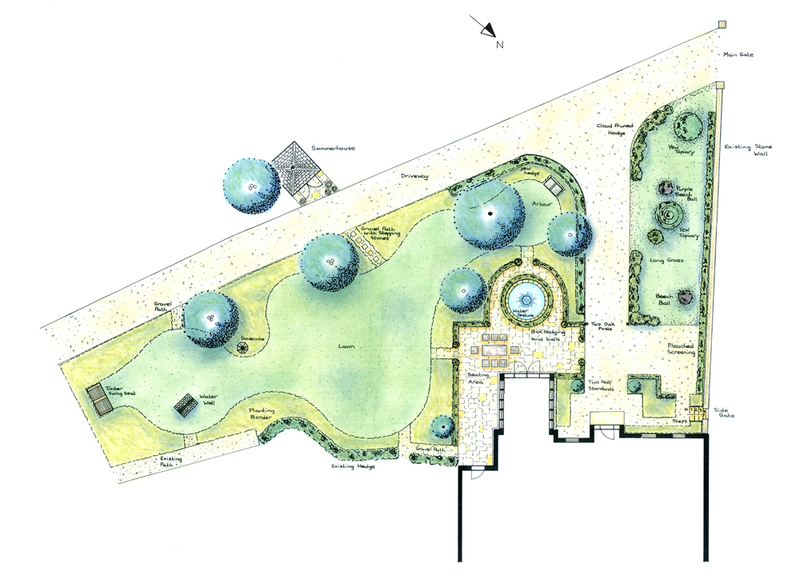 Space for entertaining and a reasonably sized lawn for the kids to play was a key consideration, as was a re-design of the existing pond. The area immediately outside the house is contemporary in style. 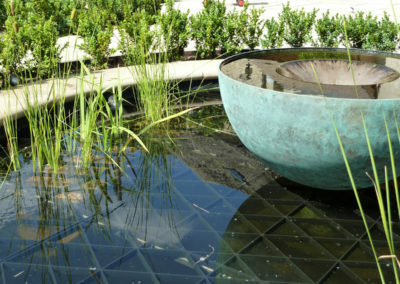 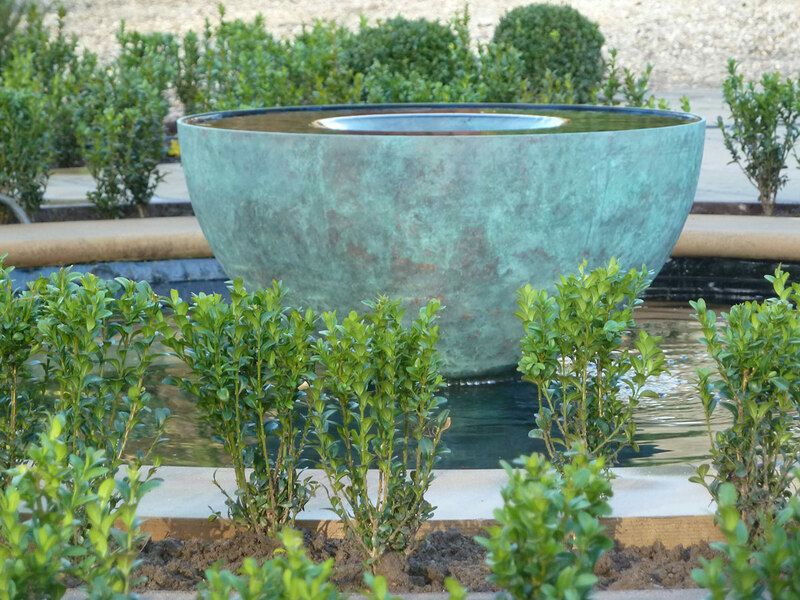 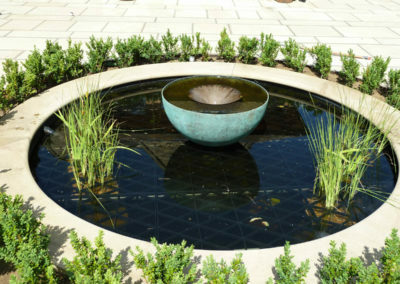 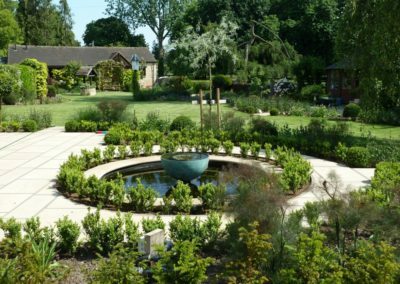 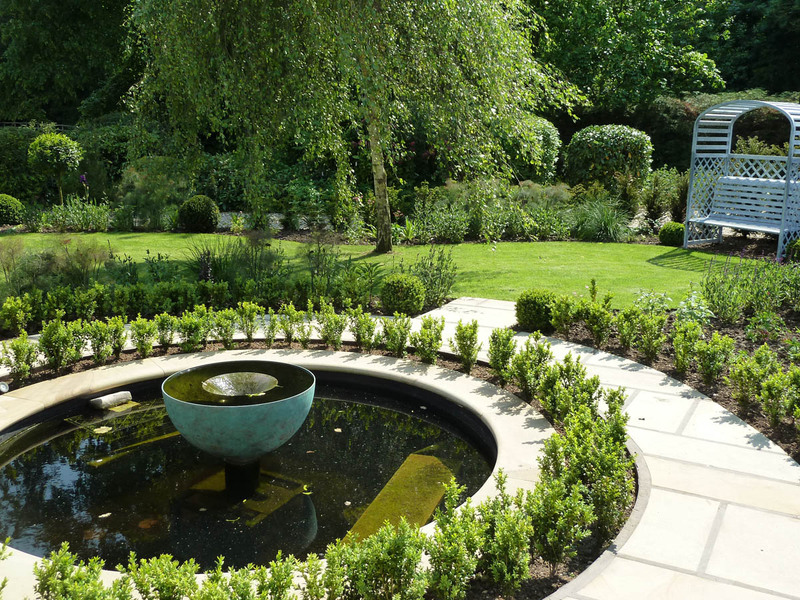 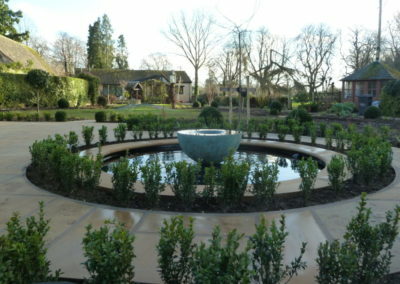 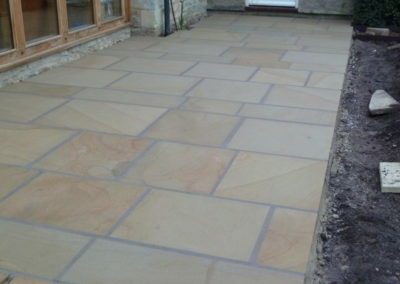 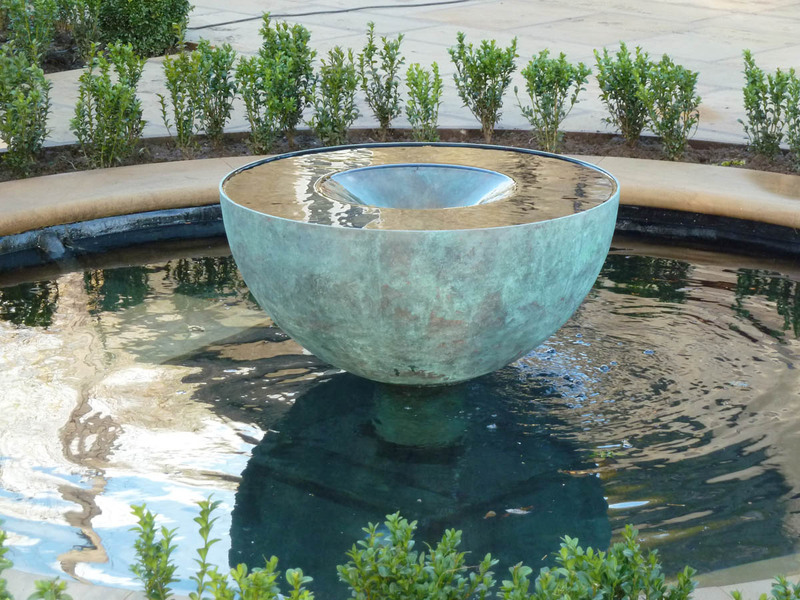 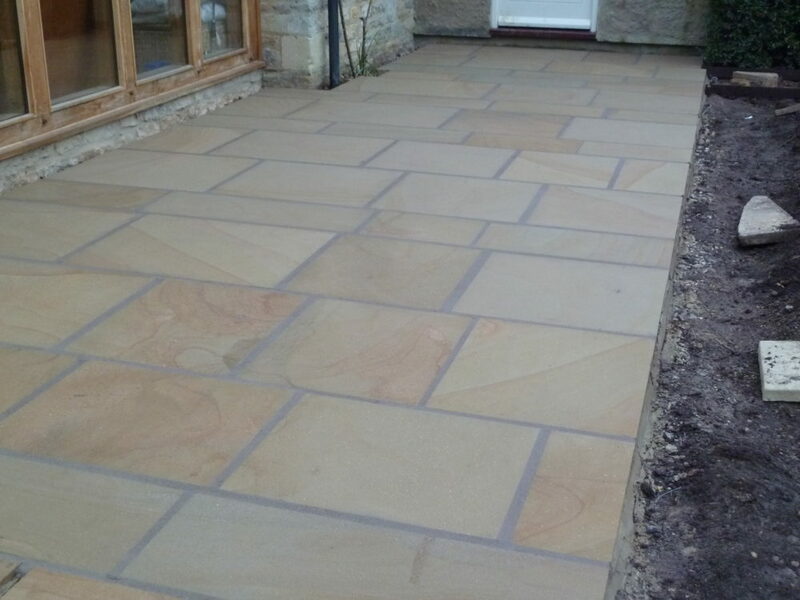 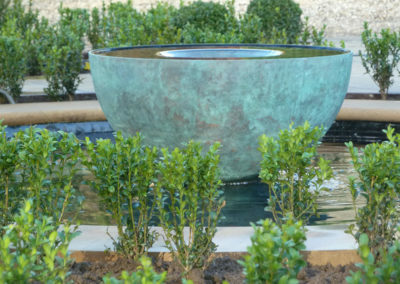 Buff coloured Yorkstone paving has been used for the main entertaining area which also includes a circular pond and bronze hemisphere infinity water feature. 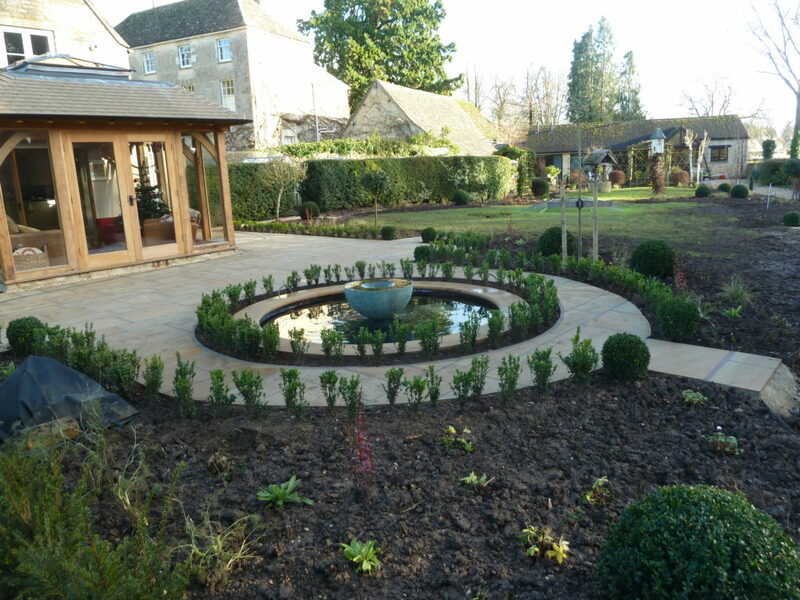 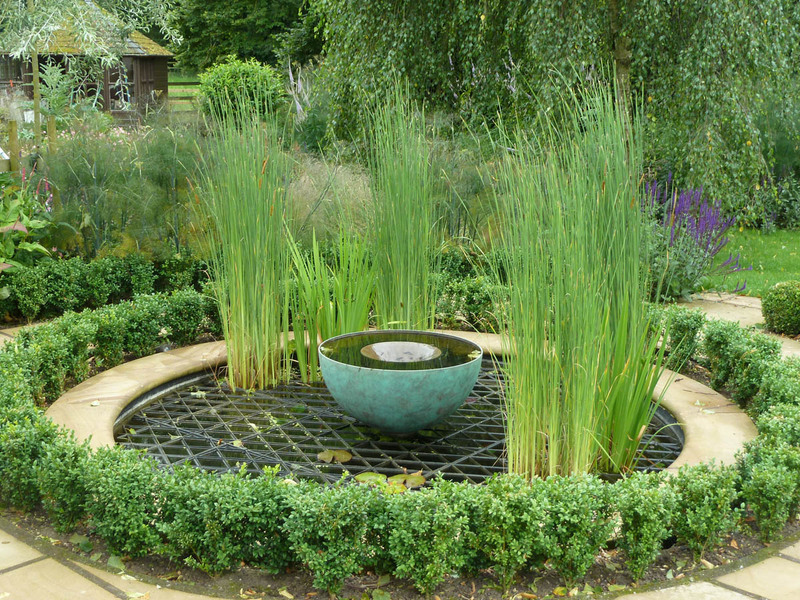 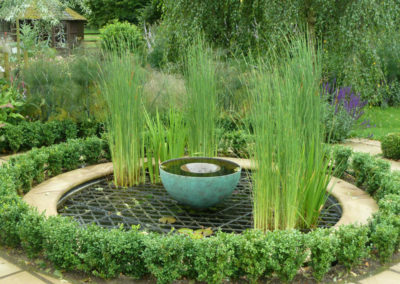 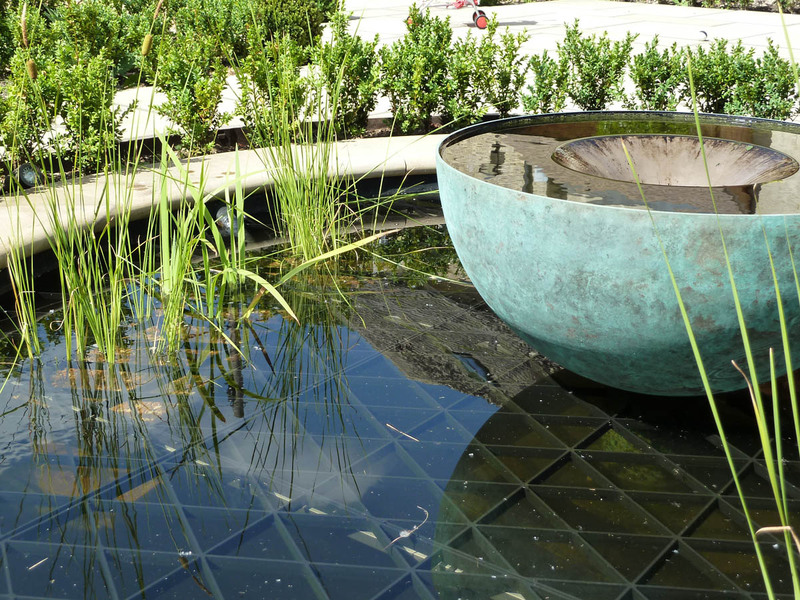 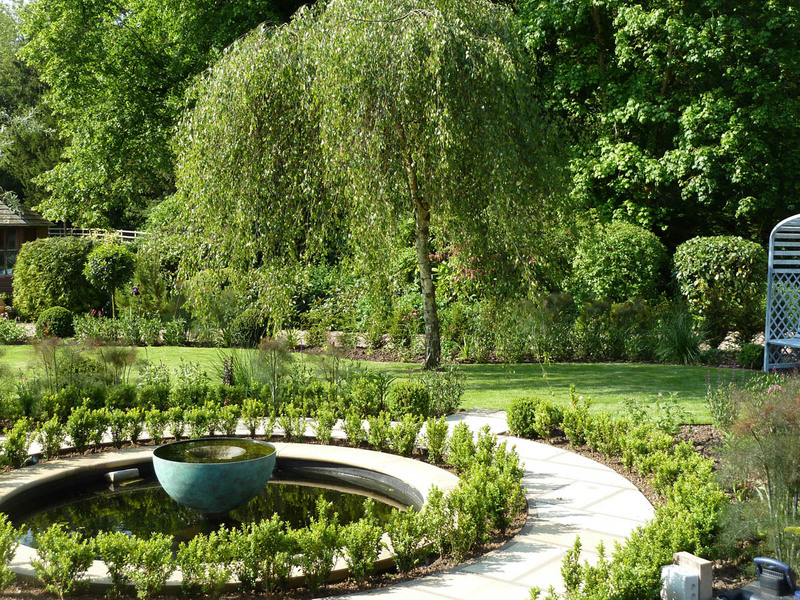 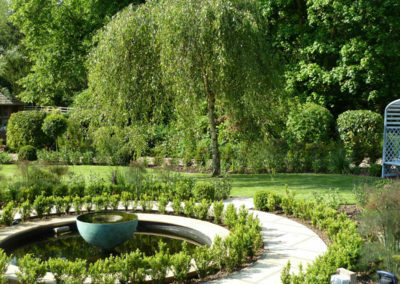 A low box hedge surrounds the pond and paved areas, in keeping with the contemporary theme. 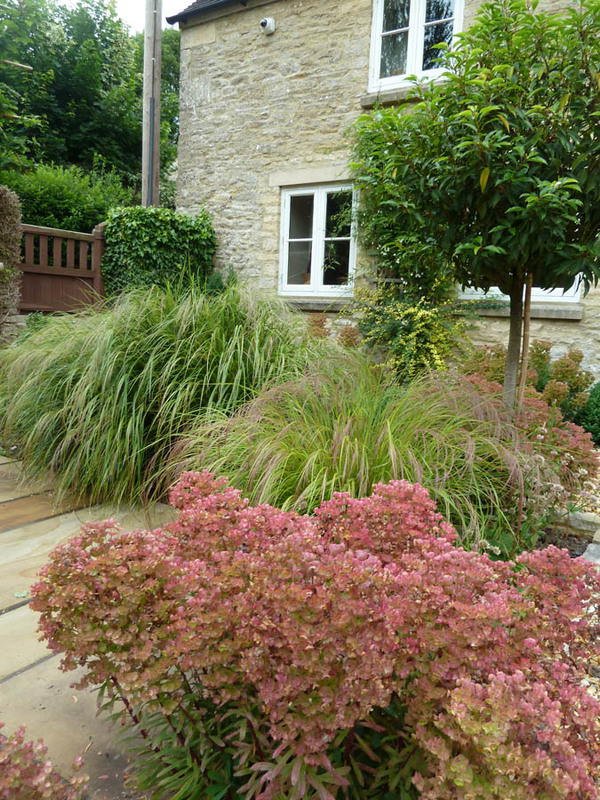 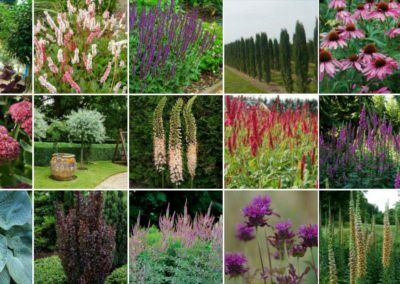 The planting borders were re-shaped, introducing curves around the lawn area to blend with the more informal rural surrounding landscape. 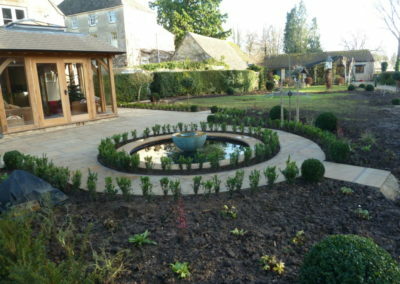 Three areas were created; two seating areas and a main lawn for the children to play.Box balls dotted around the borders, along with clipped Prunus lusitanica half standards provided a link with the more contemporary style closer to the house, while also ensuring all year round interest. 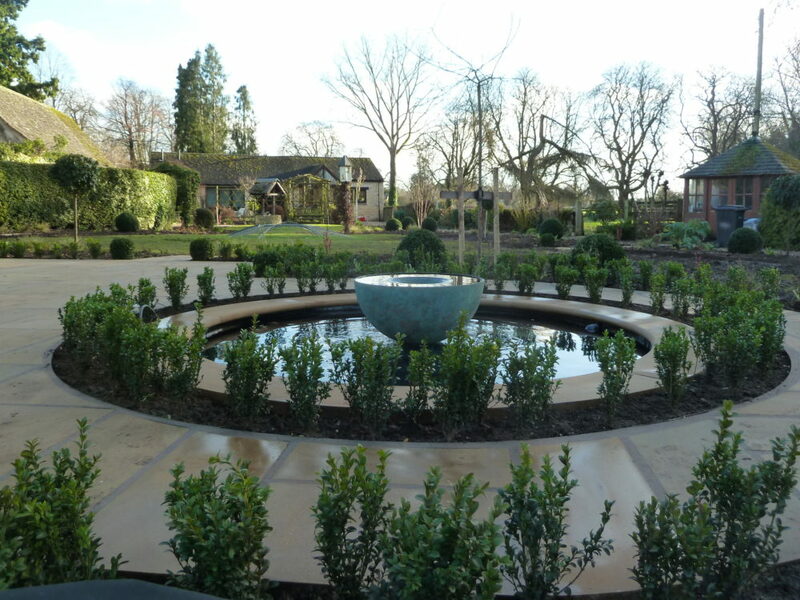 Lighting was introduced, highlighting features such as the multi-stemmed feature trees, the water feature and arbour, thus extending the use of the garden into the evening. 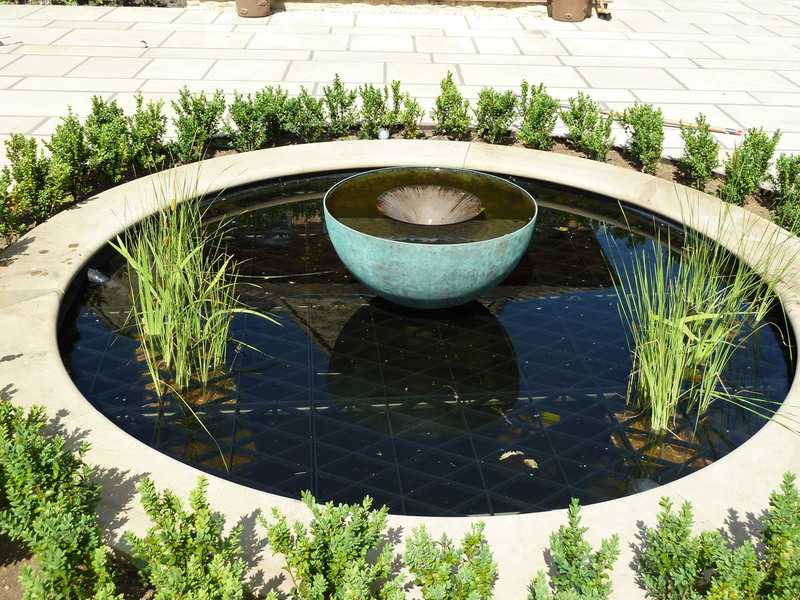 Andy continues to be on hand for any queries we have over plant maintenance and visits to ensure everything is progressing as it should which is really reassuring.